President Vladimir Putin has apologized to Olympic athletes over Russia’s inability to protect them from the situation around the Games. Putin at a meeting with the athlethes, said Russia will support the idea of clean sports. “Forgive us for failing to protect you from this. But you and all sports fans should not have any doubts that Russia will always perform, and has performed, and will support the ideas of clean sports in all senses, in all respects,” Putin said. He said Russia considers the decisions not to allow some Russian athletes to take part in the 2018 Olympics to be strange. He also said Russia will support its athletes who could not take part in the 2018 Olympic Games. “Of course we are very worried about our athletes who were unable to go to the Olympic Games. We will do everything to support them,” Putin said at a meeting with the athletes. According to the president, Russia will have a “substantive discussion” with its colleague in international organisations on the issue. On Dec. 22, 2017, the International Olympic Committee (IOC) banned 11 Russian athletes for life after they committed doping offences at the 2014 Sochi winter games. Among them are speed skaters Ivan Skobrev, a two-time medalist at the Vancouver 2010 Games, and Artem Kuznetcov. Along with lugers Tatyana Ivanova and Albert Demchenko, who both won silver medals in Sochi, cross-country skiers Nikita Kryukov, Alexander Bessmertnykh –both silver medallists– and Natalia Matveeva, bobsledders Liudmila Udobkina and Maxim Belugin, and ice hockey players Tatiana Burina and Anna Shchukina, they were disqualified from the events they took part in. They were also stripped of their medals and banned from future Olympic events, the IOC Disciplinary Commission said. The decision is part of an IOC investigation into doping of Russian athletes at the 2014 winter Olympics in Sochi, Russia. Earlier in DEcember, the IOC banned Russia from next year’s Pyeongchang Winter Olympics for what it called “unprecedented systematic manipulation” of the anti-doping system. Investigations by the World Anti-Doping Agency and the IOC confirmed allegations of widespread doping among Russian athletes across many sports as well as tampering with Russian athletes’ samples during the Sochi 2014 winter Games. The Pyeongchang Olympics run from Feb. 9 to Feb. 25 with Russian athletes competing under the Olympic flag as Olympic athletes from Russia. 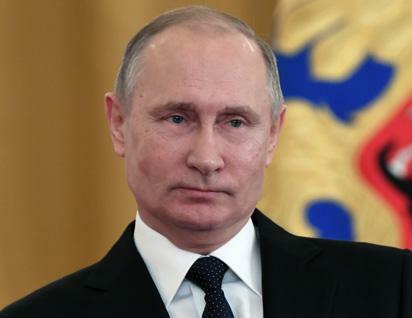 The post Putin apologises to athletes for situation around Olympic games appeared first on Vanguard News.